Complete A/C service, check-up, and cleaning. 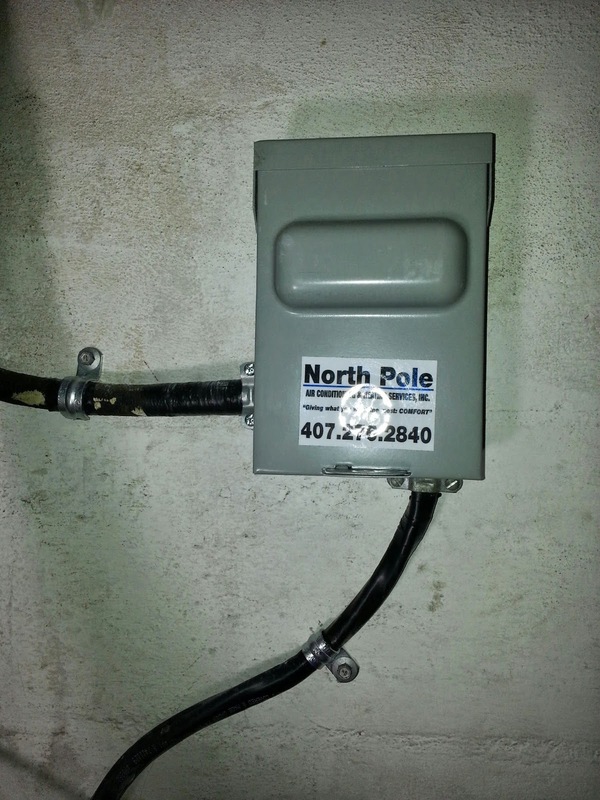 He also performed a temperature test for both A/C systems in our house and provided us the complete details of the condition of our system. We met Lisandro at the Orlando Home and Garden show a number of weeks ago. We were impressed with his explanation of how he does business and what we could expect, so we decided to utilize his services. After checking out his references with the BBB and on Angie's list, we felt good about our decision to hire him. While it took a few weeks to schedule a convenient time at our home, we can gladly report that the wait was completely worth it! Lisandro advised that he would be at our house between 5:30 and 6:00 pm, and he was right on time. 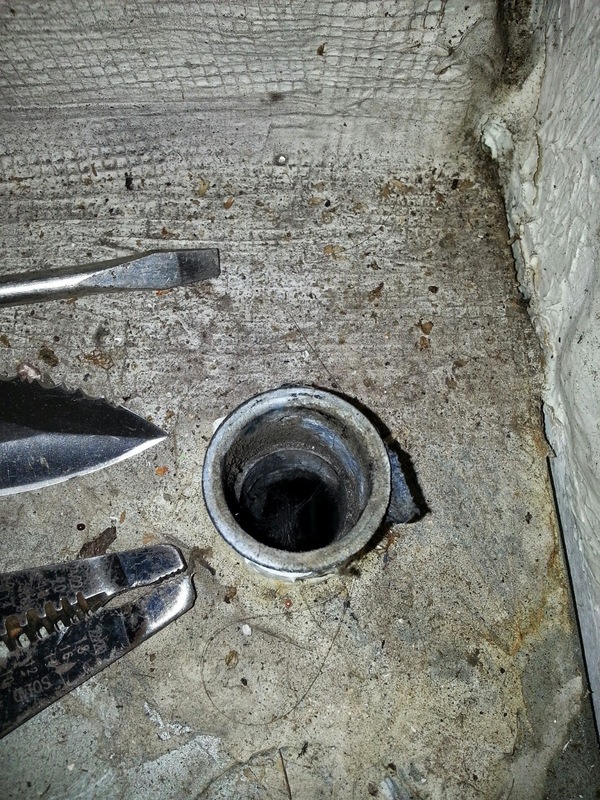 Before he did anything, he reviewed what he was going to do, 'interviewed' me about the past issues we had faced with our system, and asked questions about how it was working now, and what we expected after his service call. This was the biggest surprise since I fully expected him to just dive in and start checking things out. The weather was getting ugly and I asked him if he wanted to move inside first. He said, "No thanks. I have an umbrella in the truck." he brought out a huge pole umbrella and went to work cleaning the coils in the outside units. 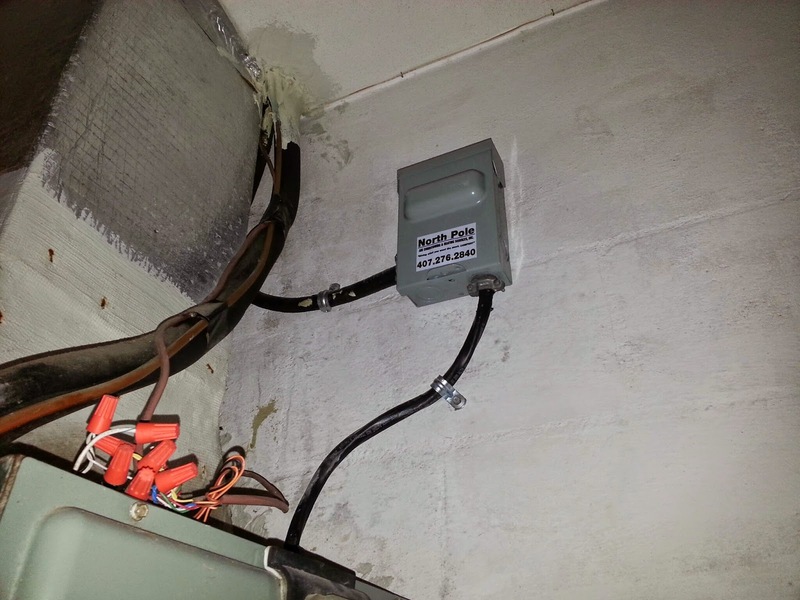 He checked out the system and then went inside to completely clean the air handler system through out the entire unit. We have the cleanest unit in the development! There is far more I can say, but you will just have to experience Lisandro's approach to air conditioning service. Being from Cuba, where they rarely get 'new' replacement parts to keep systems working, he has learned unique approaches to make older systems keep on working as long as possible. I can't tell you enough how pleased and impressed with his work ethic, timeliness, humility, and fairness in his work and pricing. Trust me, he is worth the very few pennies that he charges for the outstanding work he does! We came to this place for a "No cooling call". 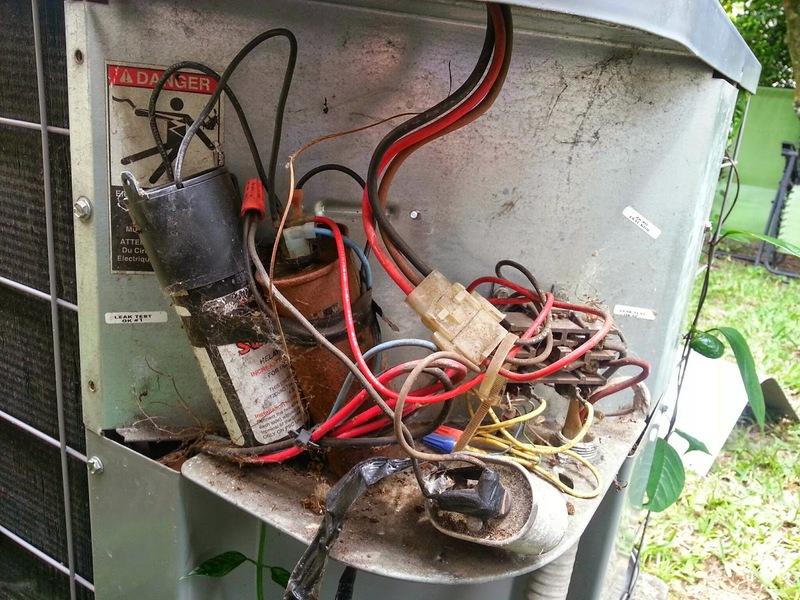 We found this 14 year old air conditioning system not working. 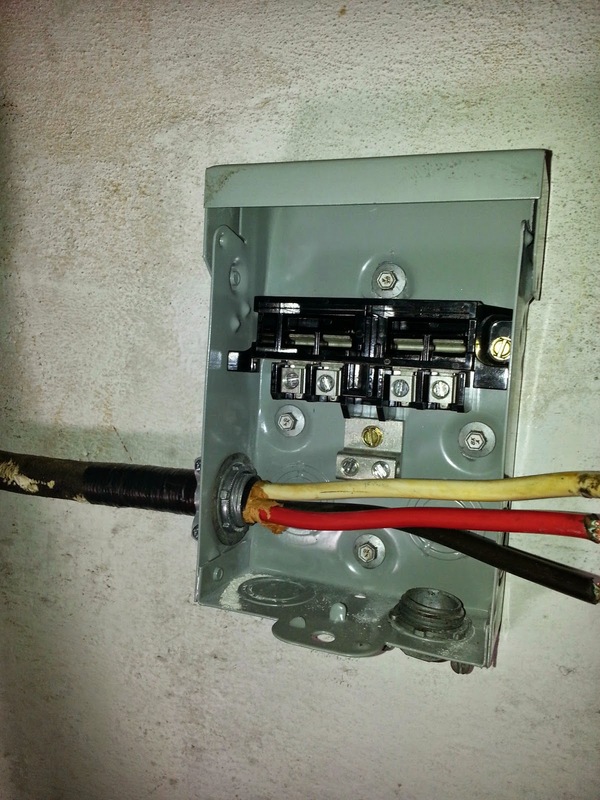 After it was inspected a defective run capacitor and contactor were found. Notice this unit was in the past repaired. 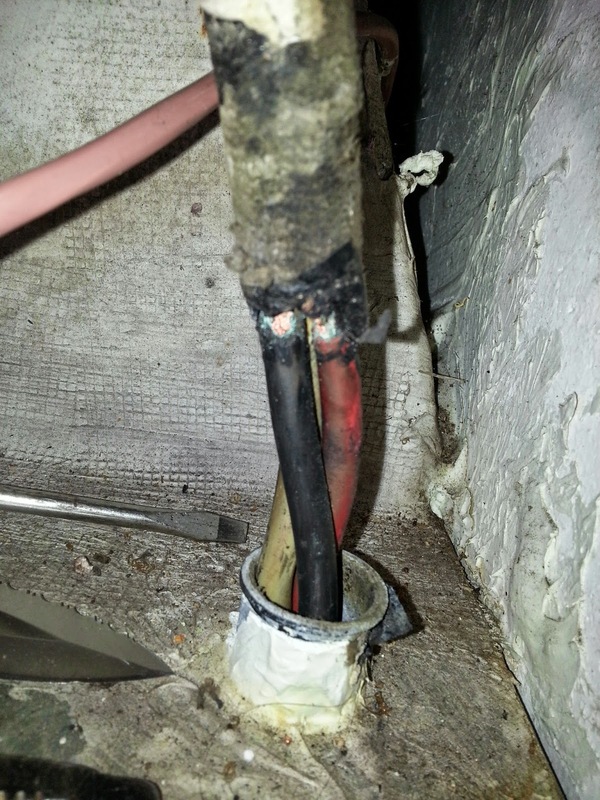 You will see how the prior repair was not properly done. 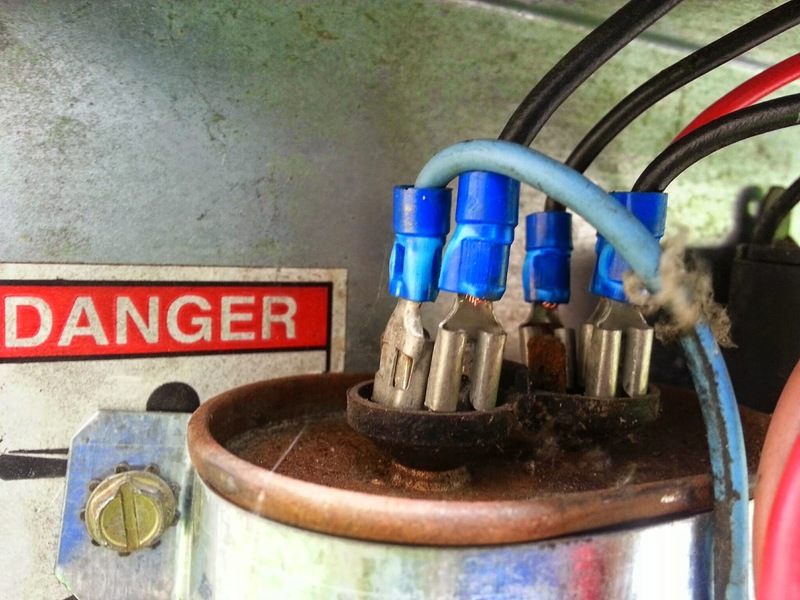 The capacitors are hanging inside the electrical compartment, not properly attached. 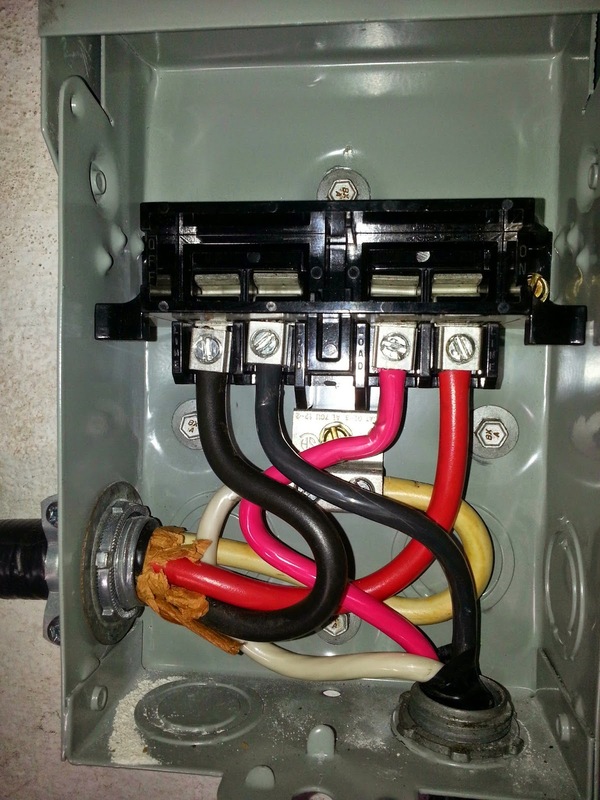 Notice how corroded are the contactor and how worn out are the high voltage contacts. 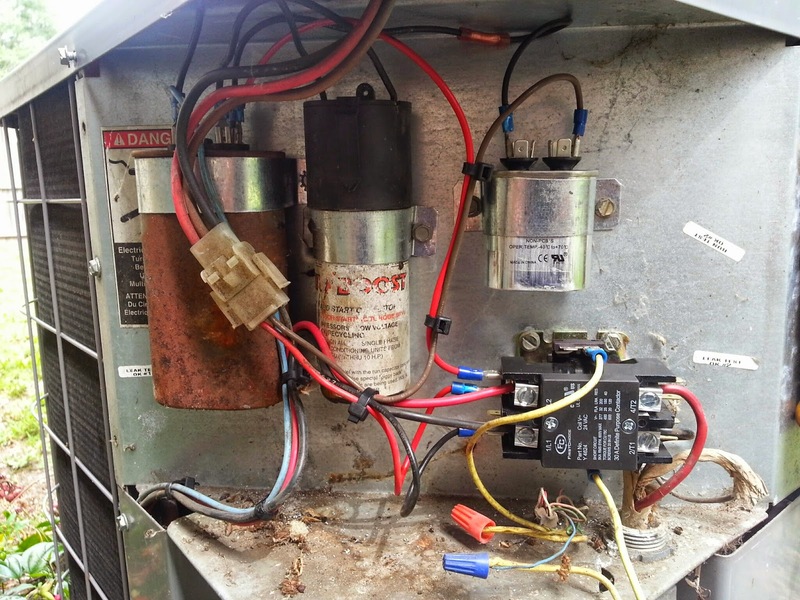 We installed a new run capacitor for the outdoor fan and a new contactor, also attached all capacitors the way it is supposed to be. 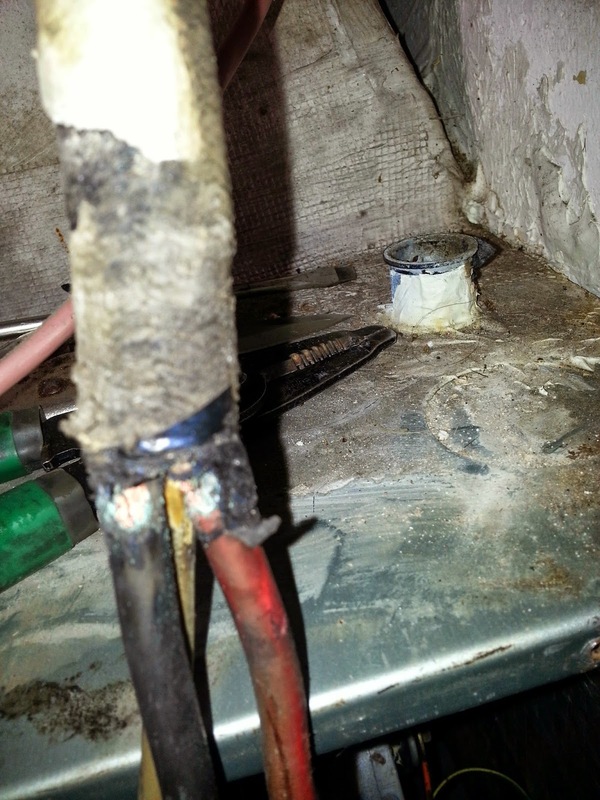 We also took extra care and installed new wire connectors in all connections and wire tied all wires. 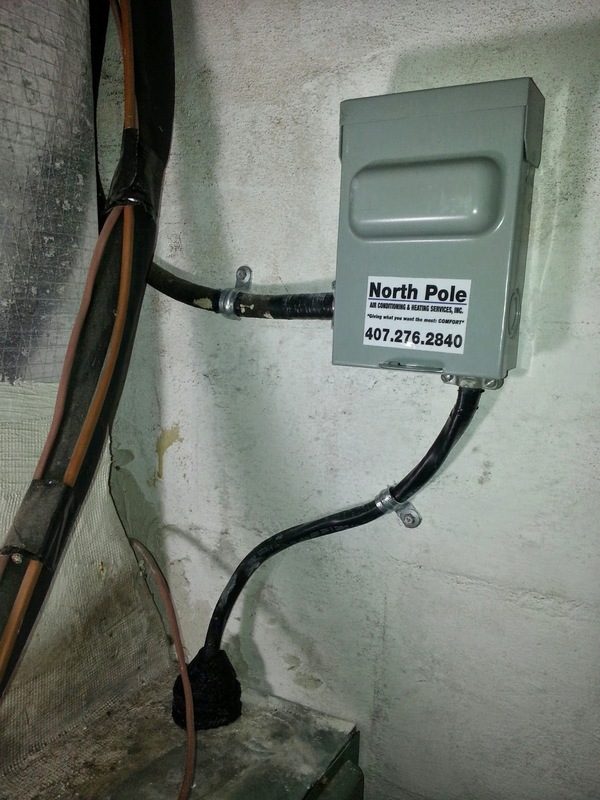 This is the difference North Pole Air Conditioning and Heating Services, Inc. makes every day when we are called to your place to fix your air conditioning system. After all repair were done we started the system and left it up, running, cooling and draining like a champ. Give us a call, you won't be disappointed. We are specialists in making things last forever. 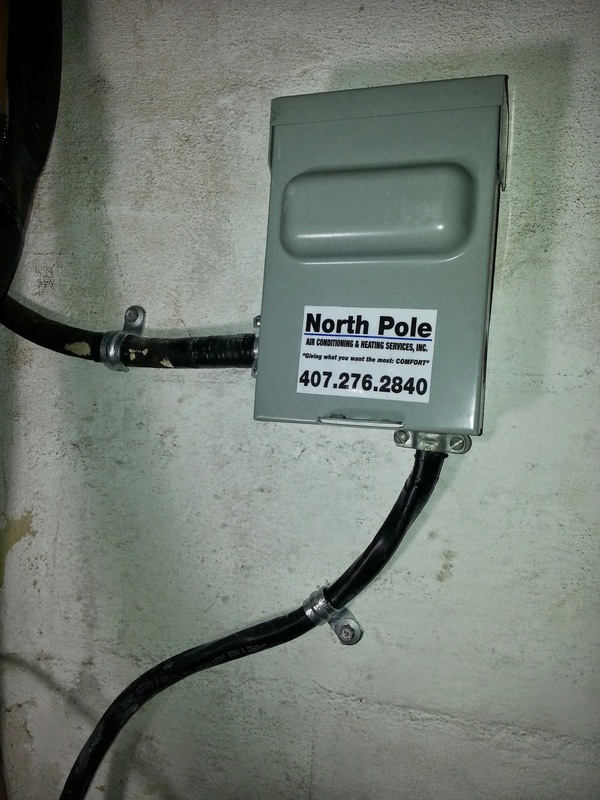 North Pole Air Conditioning and Heating Services, Inc. gives what you want most: COMFORT at affordable prices. Shelley Brown from Orlando, FL. Service performed on Friday, May 16-2014. Once we were able to line up our schedules, Lisandro was able to come by and fix my AC. He was thorough, explained everything he was doing, switched out my old thermostat, didn't sell me something I did not need. I would highly recommend Lisandro to anyone. Because he is so good at what he does, he is busy, therefore be patient with him as he works to fit you into his schedule. Thanks again Lisandro for your work ethic! A good part of knowing how to troubleshoot an air conditioning in need of repair is having exact knowledge of how they work. Air conditioners have been around for over 100 years, and have come a long way since the first one was installed in a home. The basic concept behind how an air conditioning system works is the use refrigeration to chill the indoor air. There is actually some science behind this. When liquid converts to gas, called phase conversion, it absorbs heat. 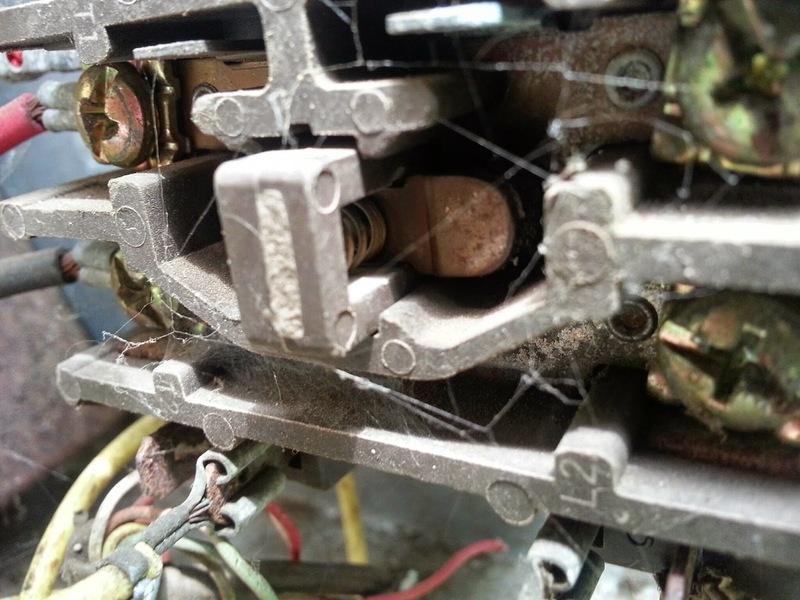 Air conditioners use this phase conversion by forcing special compounds to evaporate over a system of coils. The result is then cooled air. The compounds in this process have properties that enable them to change at a relatively low temperature. 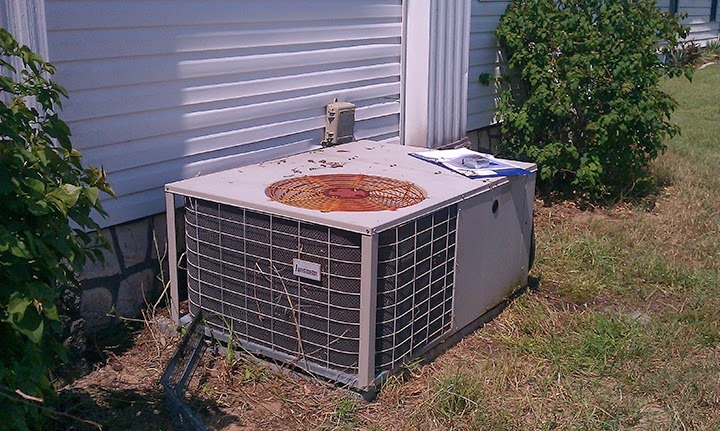 Most air conditioners also have fans that move warm air over these cold coils. 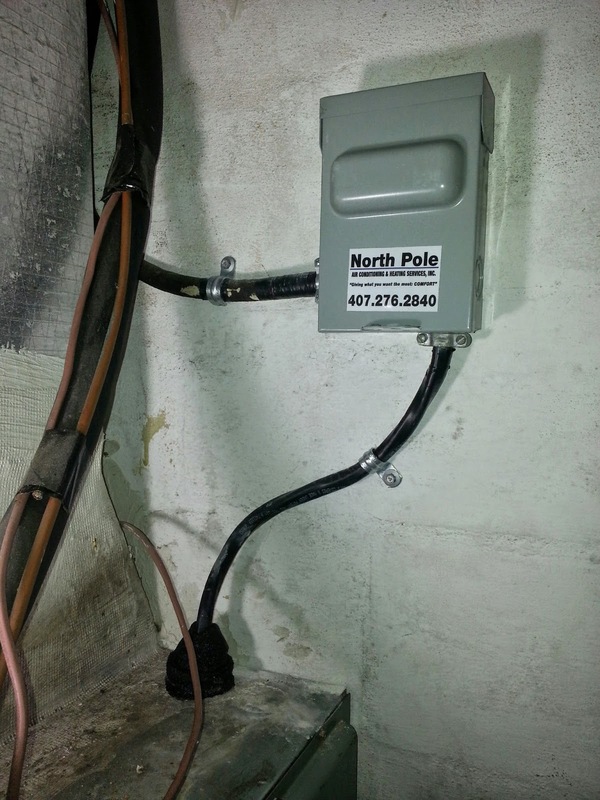 In fact, nearly all central air conditioning units have an entire system of ducts that funnel air to and from these coils to cool your entire home. How exactly does it cool my home? The general idea behind all AC units, whether they be central or window, is to take a gas, change it to a liquid, and then back into a gas. 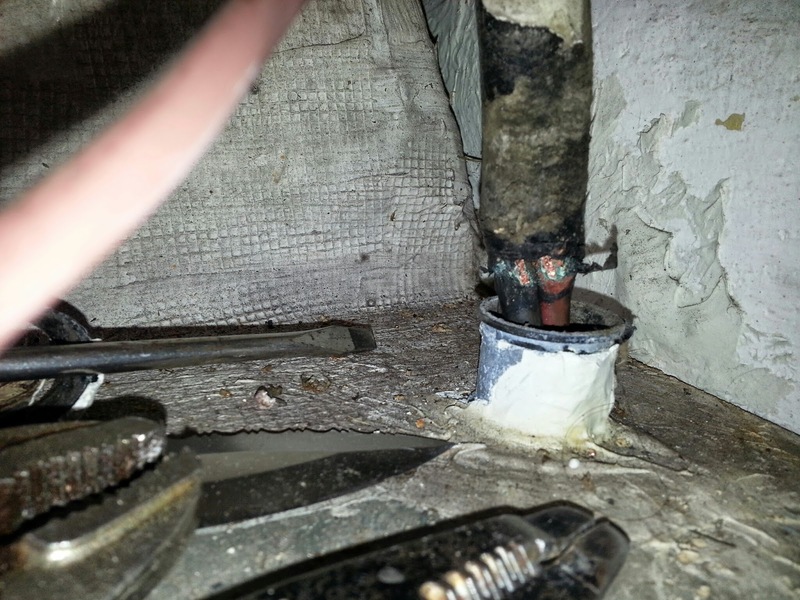 This is done by extracting warm air from the outside, removing the heat, and then sending it back into your home cool. 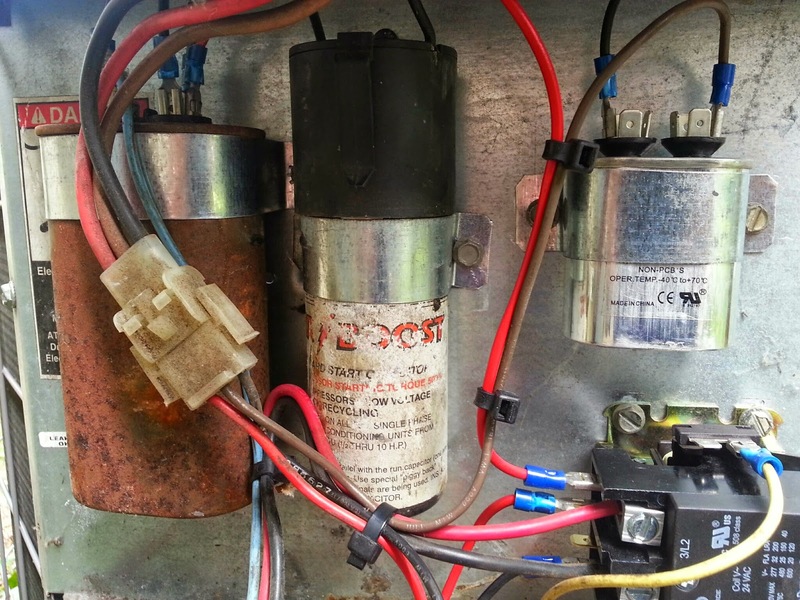 In a split system, the compressor condenses and circulates the refrigerant through the outdoor until, changing it from a gas to liquid. The liquid is then forced through the evaporator coil/cooling compartment. The indoor fan then circulates the inside air across the evaporator fins. The evaporator fins then exchange the thermal energy with the air around it. 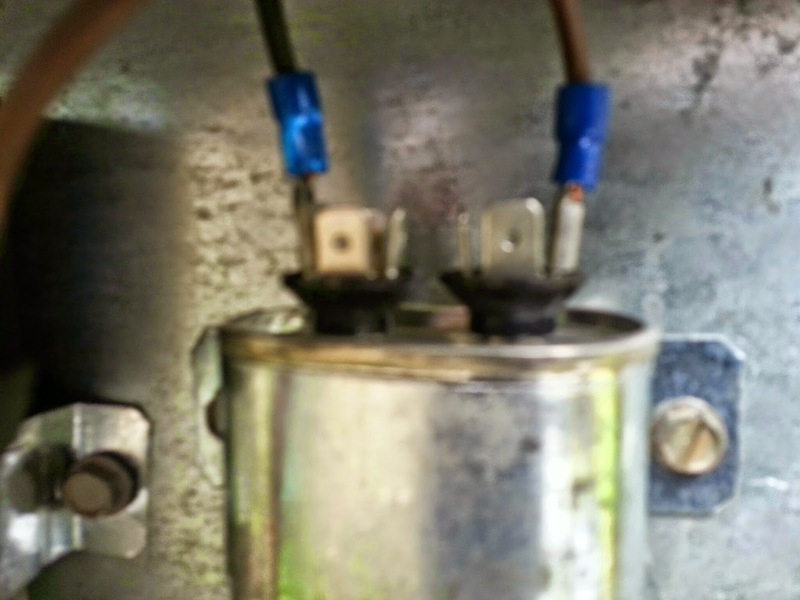 After that, the refrigerant turns from liquid back into vapor, removing any heat from the area surrounding it. As the heat is removed from the air it is then pushed back into your home and nice, refreshing, cool air. 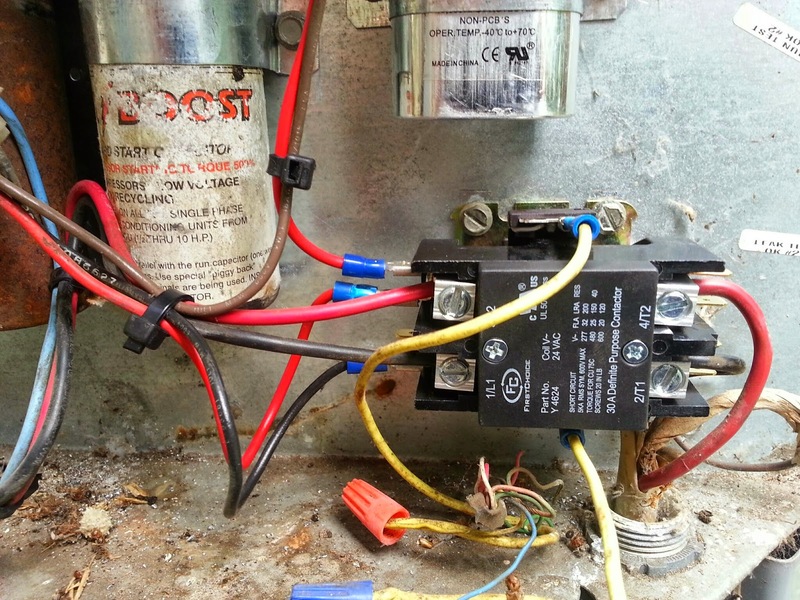 Air conditioning systems are probably a bit more complex than you may have though. 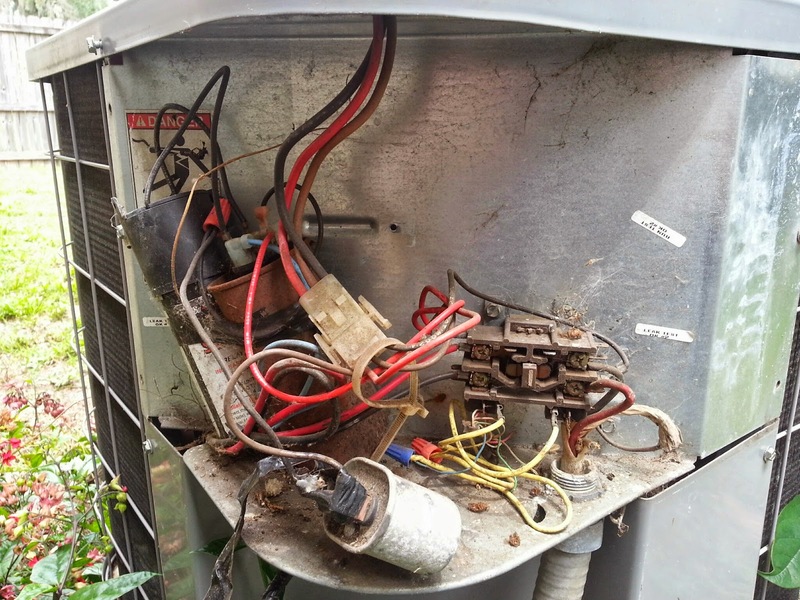 This being said, you should always contact a professional if you think that your AC unit may be in need of repair. 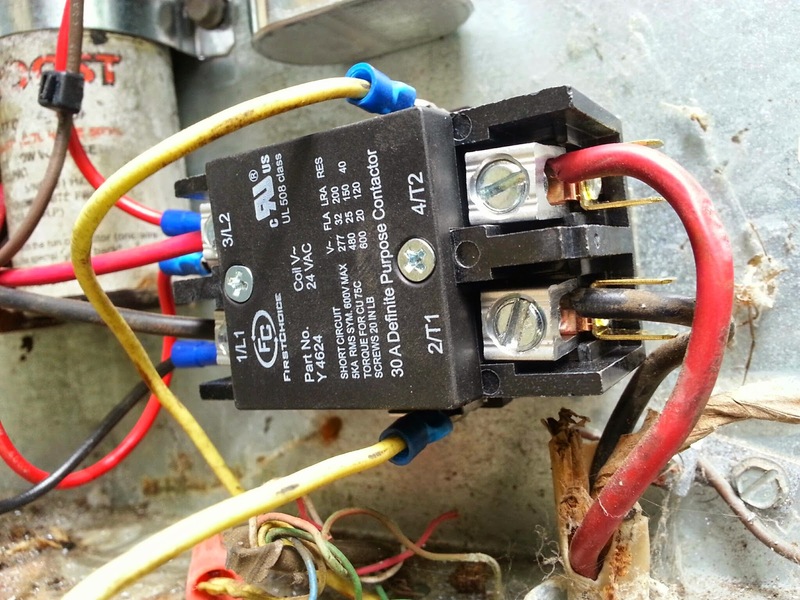 There are many small things that the common home owner may miss that is wrong with their AC unit that a professional would pick up on immediately. 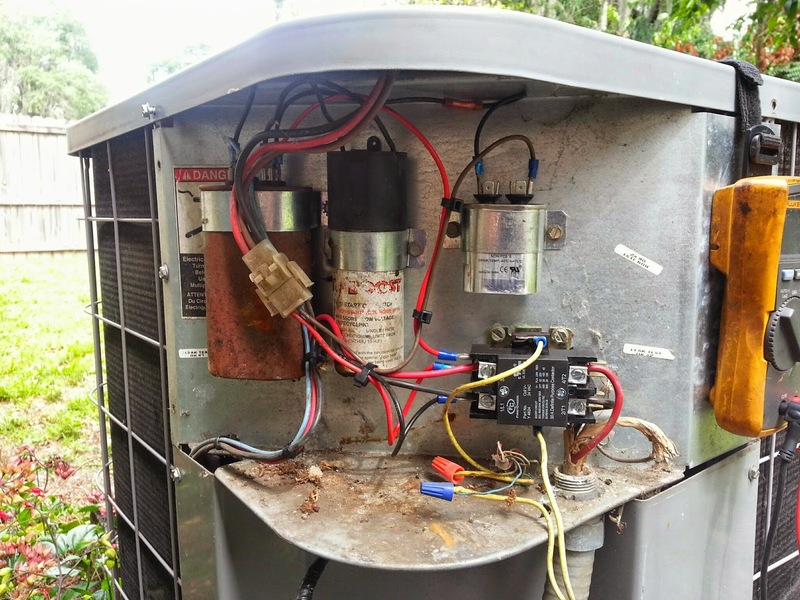 If you have any questions, or feel that your AC may need repair or maintenance, feel free to give us a call. We are here to help you!